First of all, who are we NOT? We are not Schapelle's family, or connected to her family or friends in any way. We had never even heard of Schapelle until March 2008! But then it happened... we ran across a brief story on the internet from 2005. It was hard to believe that in the 21st century such cruelty was actually happening, but we checked it out, and it was. Even worse, it was now 2008 and this poor young woman was still incarcerated, still facing almost 17 years of hell. The fact that we are not Australian and are actually based on the other side of the world did not make us feel any better: the more we scratched the surface, the more barbaric it became. Yes, it was distressing to read. Yes, we could have walked away: but it was simply impossible. 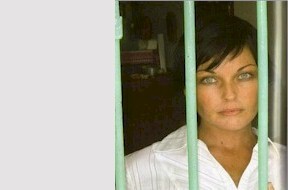 Schapelle's situation was like a splinter in our minds - a splinter that can only be removed when she walks free. Hence this website: created for others like us, outside the proximity of Australia or Indonesia. It is intended to be a pointer: to resources, to information, to the appropriate authorities. It is simply intended to help those who are willing to help Schapelle. We claim no special knowledge, no authority and no connections with anyone.... just a strong desire to stop the terrible suffering of an innocent woman. We were simply not prepared to walk away. Are you? I first created this website in the spring of 2008, and have documented this story HERE. Since then many others have contributed, to help it become the hopefully useful resource it is today.